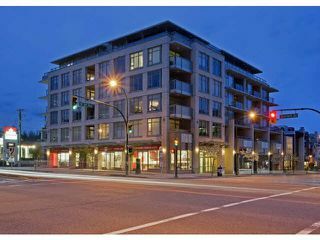 The BEST of Kitsilano is at your doorstep! 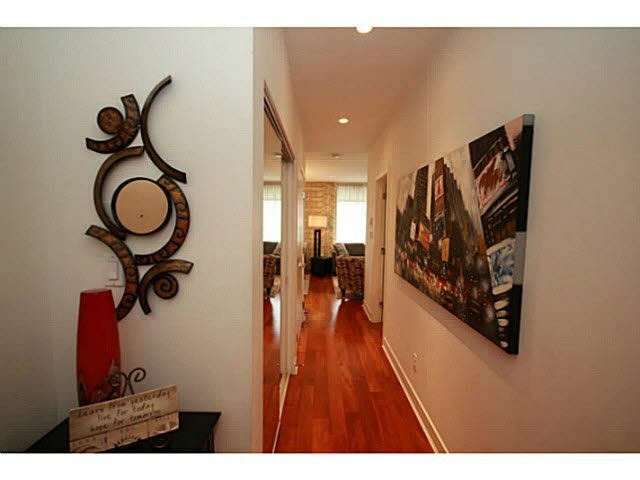 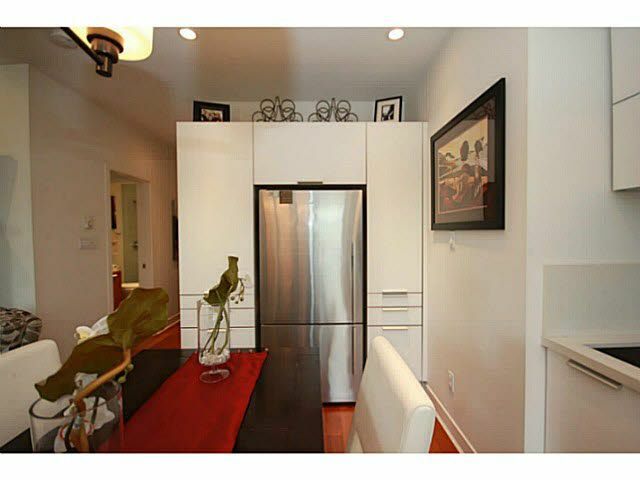 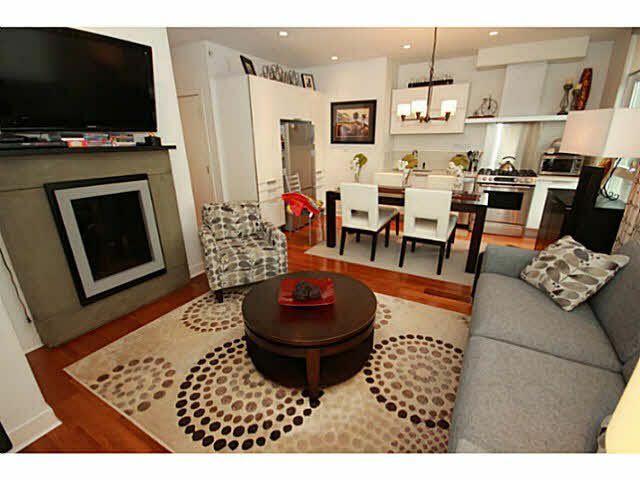 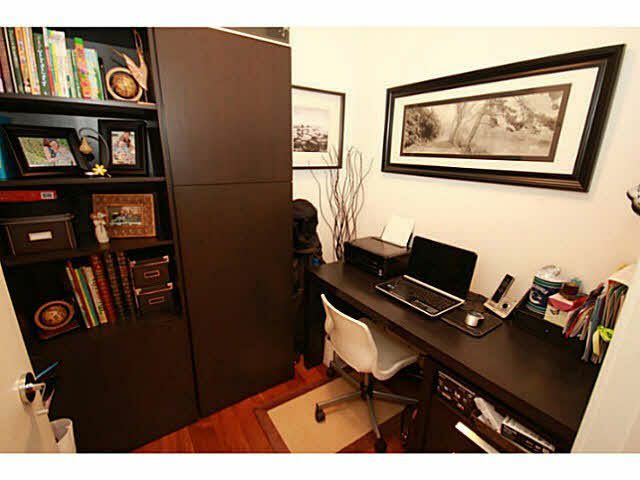 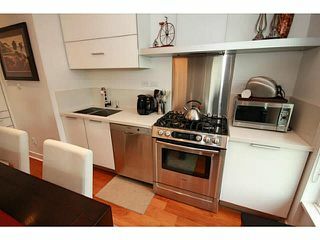 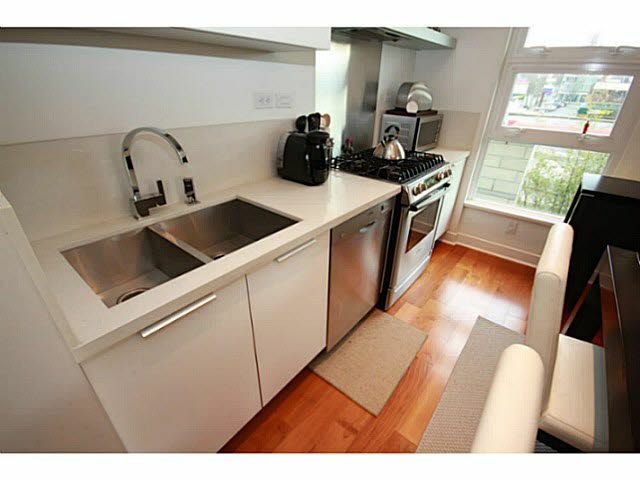 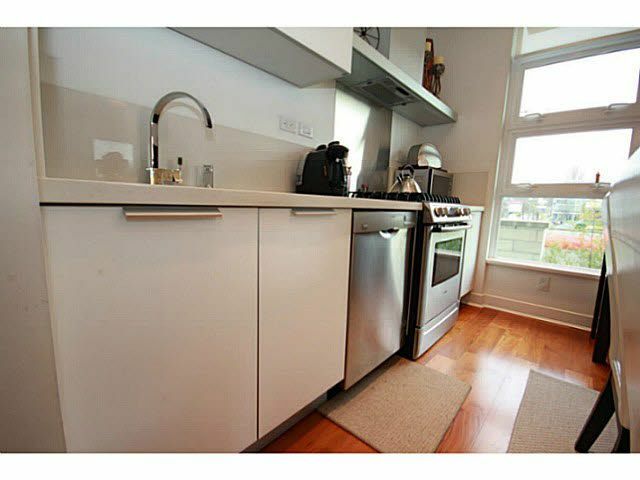 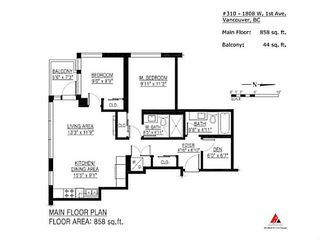 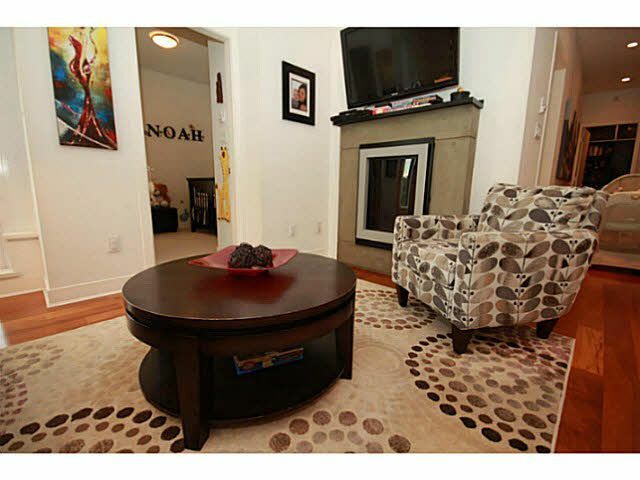 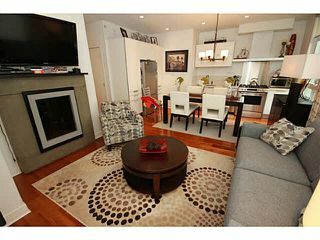 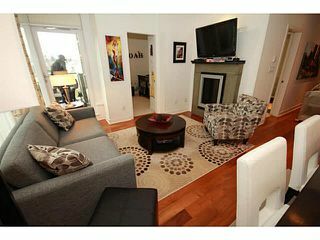 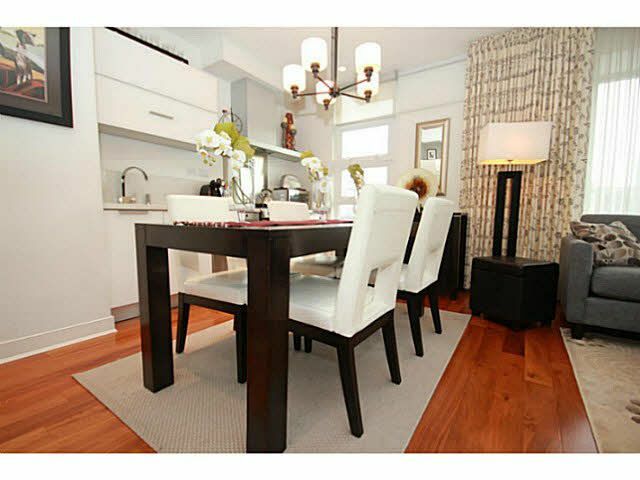 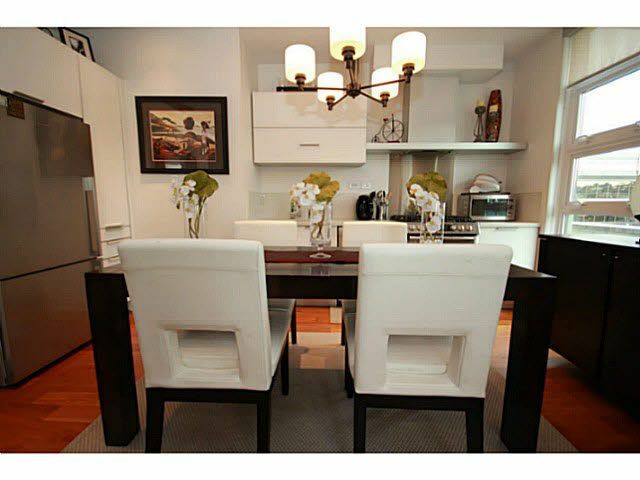 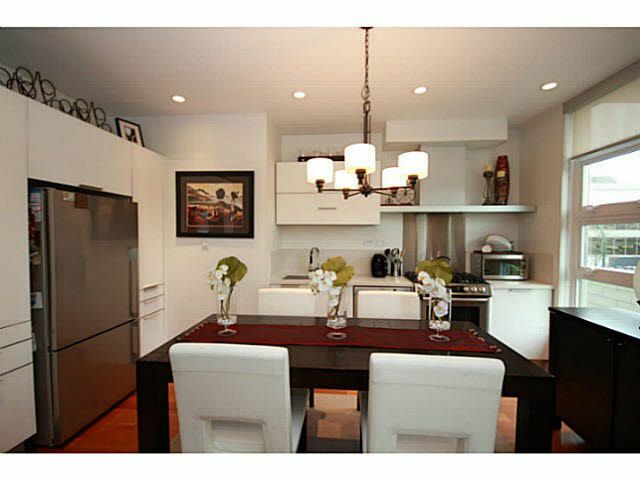 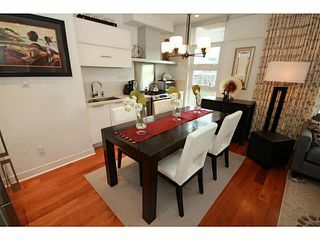 This QUIET, BRIGHT, south facing, immaculate 2 bed+Den, 2 bath condo is in the modern, CONCRETE First on First building. Built 2009 using luxury finishings including overheight ceilings, hardwood flooring, stone counters, & appliances by Fisher & Paykel, Bosch, & Faber. 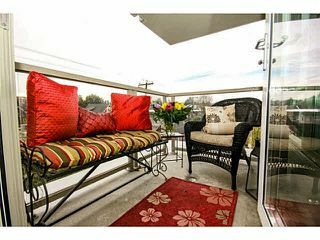 The fireplace, balcony, & large windows with custom blinds & window coverings add ambiance to the open concept kitchen, dining, & living room. 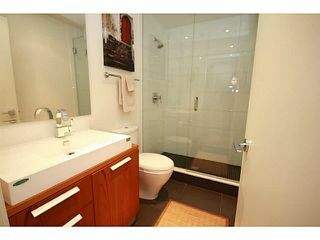 The lovely Master Bedroom has a sleek ensuite. 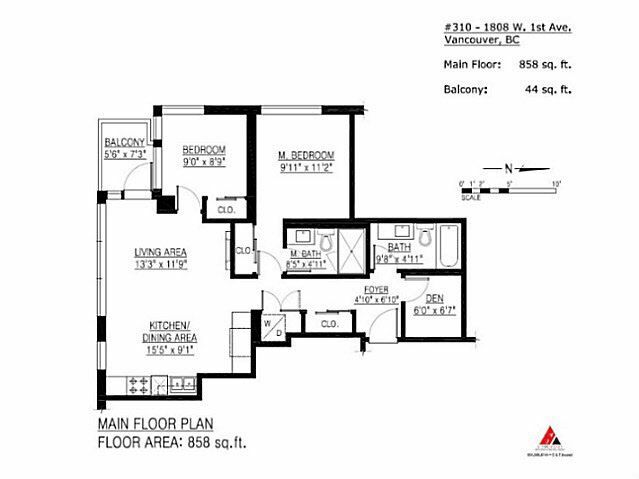 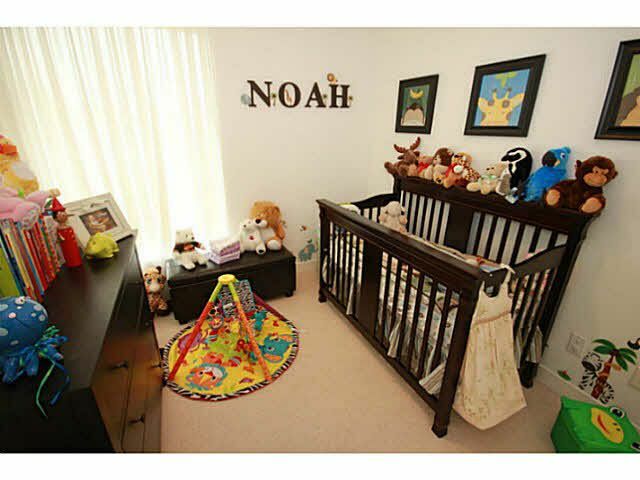 There is a second bedroom with great windows, a perfect den, a house sized front closet, & in-suite laundry. Includes 1 storage & 1 good sized parking space. 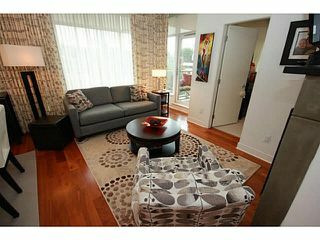 Bonus: 5 visitor pkg!